Have You Experienced Damage from Water, Fire, Mold, or Vandalism? Even after the cleanup from a disaster in your home or business has been completed, we understand that your life can be turned upside down. Just because the damage is gone, the job may not be complete. Do you need reconstruction and not know where to start? Start by calling ServiceMaster by JTS, we can help you with all your reconstruction needs. We will restore your property with the utmost care, attention to detail, and professionalism. At ServiceMaster by JTS, we can handle all types of reconstruction. Our goal is restore your property back to its pre-loss condition as quickly as possible while still ensuring the best quality work. Our professional trained and experienced team will manage the complete project from start to finish. What does it mean to be a one-stop shop? 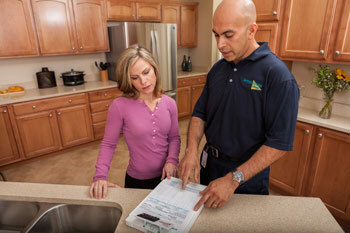 After our restoration team has cleaned up the mess from the disaster, our estimator can put together an estimate. As soon as the estimate is approved, we can start the reconstruction project as soon as the following week. Some of the benefits of working with a one-stop shop include faster results, known costs, less people to deal with, and fast negotiation from industry pricing. Not sure if you should file a claim for your damage? We are experts at dealing with insurance companies, adjusters, estimators, and agents. Navigating a claim can be difficult and frustrating. Call us and we will help guide you through this process. 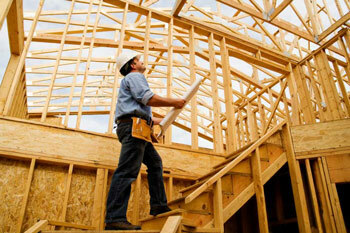 We have a specialized team of contractors and carpenters that will finish all your repairs needed. Our goal is to provide you with the most professional service from your initial phone call to the full completion of the build out. We are dedicated to giving you the best service for your property. We have a relentless focus and dedication to quality to restore your property back to its pre-loss condition or better. For expert reconstruction services in the Longview area, call ServiceMaster JTS right away!